Function drives the design of each item, creating an easy to use and functional product. I grew up in a village where two members of Black Sabath live, Tony Iommi and Geezer Butler. I grew up watching my dad and sister creating things so this sparked my interest in it. I then became interested in knitting as I love that you can create something 3d and wearable from something as simple as a strand of yarn. 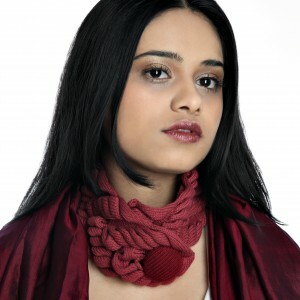 Knitwear also allows you to unravel and reuse the yarn, which is always great if you are on a tight budget! 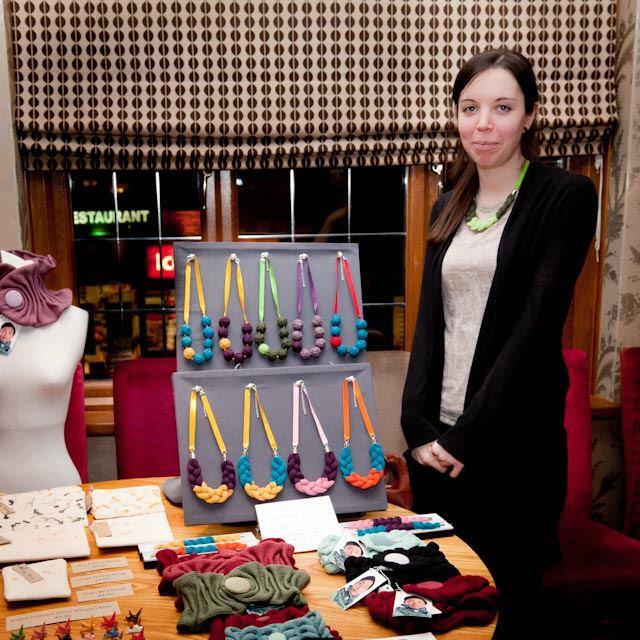 I started my business creating collar scarves from cotton yarn. This was mostly for cottons structural qualities. I then found that more and more people where pointing out my scarves because they are cotton. 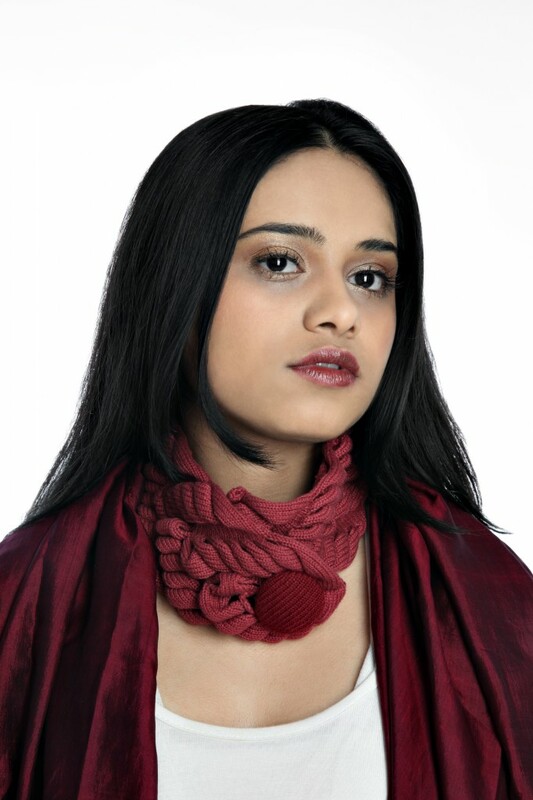 These people are unable to wear wool and they were so pleased to see a contemporary scarf that they are able to wear without irritation or an allergic reaction. This then got me thinking about my summer range, I decided to work on jewellery. I had seen to much textile jewellery that is felted and so made from wool. So I took inspiration from this and designed a cotton jewellery range that anyone can wear. I sell my designs online as well as events throughout the UK. I feel handmade allows you to buy something truly unique to you.